JEFFERSON, WI (Saturday, August 30, 2014) Casey Johnson of Edgerton charged to the front of the pack to claim the lead and the victory in the Race for Autism Awareness 50 lap Late Model feature on Saturday night. With his latest feature win, Johnson leads the way with five victories in Jefferson Speedway’s premier division. Michael Grueneberg and Stephen Scheel led the field to green with Scheel holding a slight advantage to lead lap one. Grueneberg stuck his nose ahead of Scheel to lead the second lap, pulling his mount into sole possession of the top spot in turns three and four. Brandon Pendleton slipped by Scheel to gain the second spot with Scheel dropping into a battle for third with Trent Erdman. Erdman claimed third on lap ten as the leaders lined up single file and began to separate themselves from the rest of the pack. The first of two cautions waved on lap 20 when Dylan Schuyler and Chris Quam made contact with each other sending both cars hard into the backstretch wall and ending their evenings. Racing resumed with Johnson now lurking in the fifth position as he launched his trek through the top five. Johnson got by Erdman for third on lap 27 and pulled up behind Pendleton looking for second. Johnson stole the runner up spot from Pendleton just before the second and final caution of the race waved on lap 31 for a multiple car melee in turns three and four. As the green flew once again. Johnson began to shadow the leader, Grueneberg. Lap after lap Johnson searched for an opening to make a pass for the lead. Slight contact between the two entering turn one on lap 43 opened the door to Johnson to make his move. Drawing even on lap 44, Johnson completed the winning pass as they exited turn four. Grueneberg made one attempt to fight back, but Johnson had him covered as he cruised to the checkers to get the win. Grueneberg finished second followed by Pendleton, Erdman and Shaun Scheel. In Sportsman action, Mark Deporter stated his case in the fight for the 2014 championship by dominating the 30 lap feature event. Tony Ciano took the initial lead on lap one with Deporter and Seth Lootans battling for second behind him. Deporter claimed the position just before Lootans spun to bring out the caution on lap three. As racing resumed, Deporter began to peek to the low side of Ciano, drawing alongside on lap six. Deporter cleared a lap later as he opened up a large lead. Robert Hansberry Jr motored through the top five up to third by lap 18. Two laps later, Hansberry got past Ciano for second and began trying to reel in the leader. Hansberry chipped away slowly at Deporter’s advantage, but ran out of laps as Deporter saw the checkers first for the win. Hansberry settled for second with Ciano, Kody Hubred and Steven Sauer rounding out the top five. Waupun’s Seth Reamer used a late race pass for the lead to capture the 20 lap International feature event. Dan Birkett led lap one from the outside of row one with Joe Cross up to second on lap two. Mike Lambert took the second spot away from Cross on lap four with Reamer in tow for third. Lambert drove under Birkett on lap six, claimed the point on lap eight with Reamer still in his tracks for second. Reamer began searching for a way around the new leader while Chris Chenoweth pulled into third. On lap 13, Reamer got a good run under Lambert as they entered turn one. After a brief side by side battle, Reamer took over the top spot on lap 17 and never looked back on his way to the win. 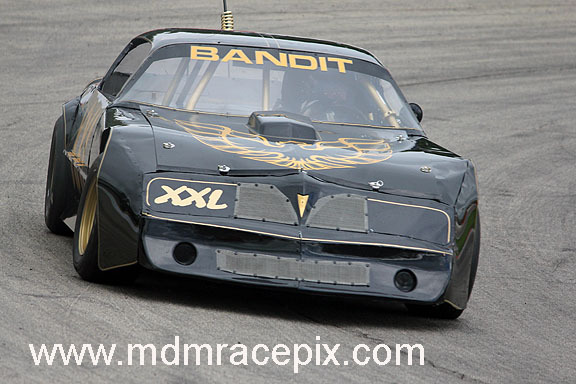 Lambert came home second followed by Chenoweth, Birkett and John Handeland. Whitewater’s Lucas Buckingham picked up his first career Hobby Stock feature victory as he and his brother made up the one-two finish of the 25 lap feature event. Boyd Eichelkraut and Jared Vike paced the field to green with Vike taking the early lead on lap one. The sole caution of the raced waved on lap two when Dustin Ward slid across the front stretch and into the sand pile on the infield. As racing resumed, Lucas Buckingham drove to the outside for third and then took second from Eichelkraut in the same manner on lap four. Lucas Buckingham crossed over to the bottom and pulled alongside Vike looking to lead with Dylan Buckingham now up to third. Lucas cleared for the top spot on lap nine bringing along his younger brother, Dylan , for second. Cody Buchs made his way up to third by lap 15 as he began to apply pressure to Dylan for second. Dylan was up to the challenge as he kept Buchs in his rear view mirror while his brother showed the way out front. At the checkers, it was the brother’s Buckingham with the one-two finish with Lucas getting the win. Dylan was second followed by Buchs, Bobby Selsing Jr and AJ Lloyd. Bill Sweeney of Edgerton won the 20 lap Road Warrior main event. Jeff LeFave led early with Bryan Gottschalk in second. After a caution on lap five, Sweeney drove around the outside of Gottschalk to claim second. Sweeney dove to the bottom of the racing surface as he drew even with LeFave on lap seven. Sweeney cleared for the lead with Chris Gottschalk following into second a lap later. Gottschalk spent the remainder of the race trying to catch the new leader, but to no avail as Sweeney flew past the checkers first to get the win. Gottschalk was second with Craig Henning, Bryan Gottschalk and Matt Melchiori rounding out the top five. Waterloo’s Kyle Stark completed the sweep in the Bandit division by claimed fast time in qualifying, winning his heat race and claiming the 20 lap feature event. Noah Pankow led lap one from the outside of row one with Adam Schook in second. After a caution on lap seven, Dave Schmidt began battling with Schook for second while Pankow continued to lead. Stark joined the battle for the second spot, making it a three wide affair on lap nine. Stark claimed the position a lap later and charged up behind Pankow. Stark made his move on lap 12, drawing even and making the winning pass a lap later. Point leader Nick Schmidt made his way up to second by lap 17, but Stark was already well on his way to the win. Schmidt finished second followed by Pankow, Brian Cook and Dave Schmidt. Next Saturday, September 6, is Havill Spoerl Season Championship Night. A full program of racing in all six divisions is on tap as we crown our 2014 track champions. Time trials begin at 5pm with racing at 7pm. Jefferson Speedway is located halfway between Jefferson and Cambridge on Hwy 18. Please visit www.jeffersonspeedway.com for more information. Chesmore Victorious in Watertown Bowl 50 Frey Captures first WIN at Jefferson Speedway!! Spring Sizzler Washed Out – For the Second Time at Jefferson Speedway!